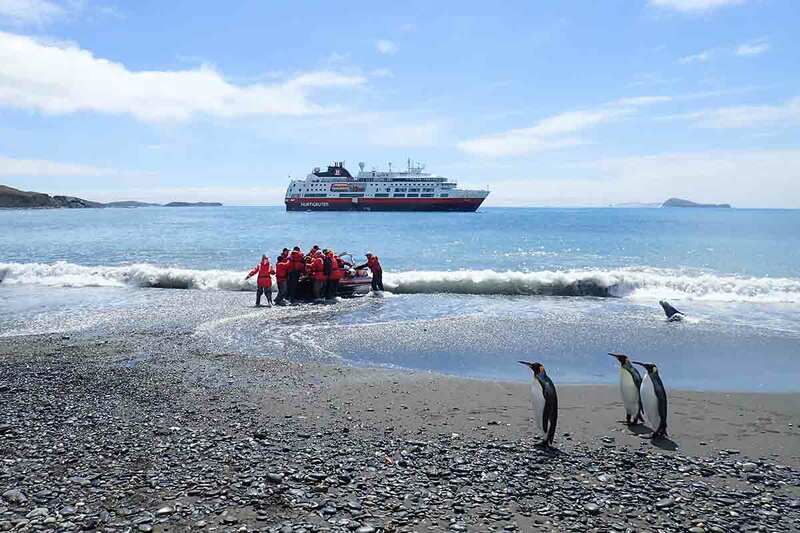 16 day Antarctica Expedition cruise with Buenos Aires including return international flights, accommodation, 11 night expedition small ship cruise, breakfast daily, in-depth sightseeing and more. 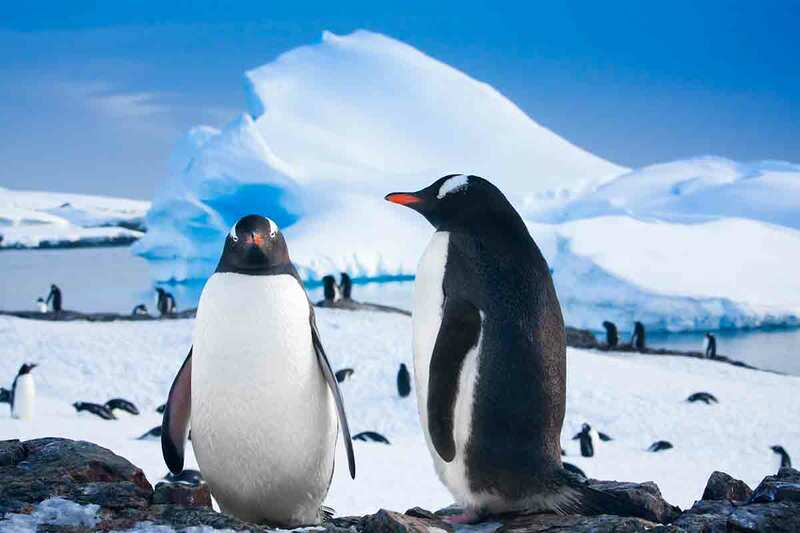 Explore one of the world’s last frontiers, Antarctica, board zodiacs to explore places few have been before, spot incredible wildlife like whales, birds, sea lions and penguins and then discover the old world charm of Argentina’s capital, Buenos Aires. 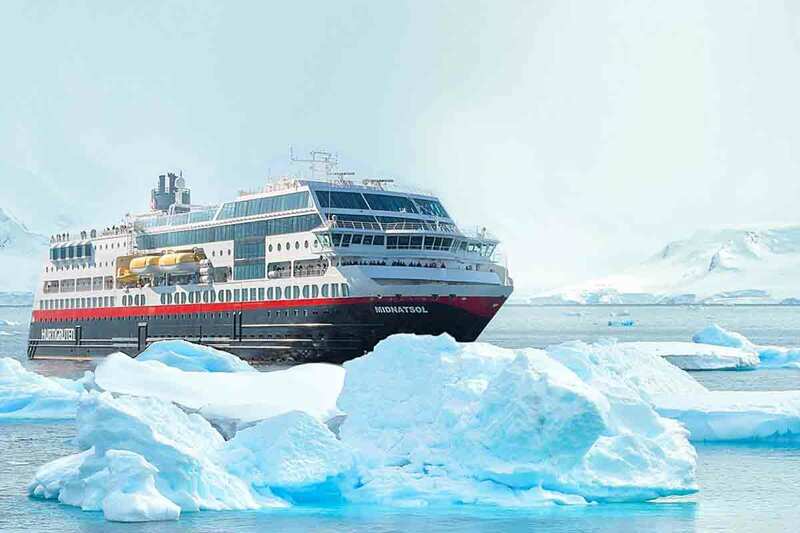 Your package includes return international flights, breakfast daily, accommodation, 11 night expedition small ship cruise to Antarctica on the MV Midnatsol with all meals, shore excursions, in-depth sightseeing and more. 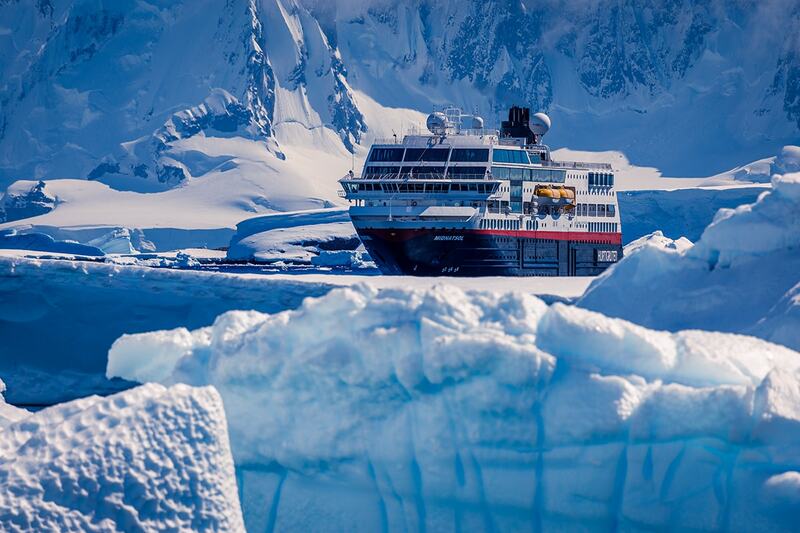 Depart Australia today to begin your incredible Antarctic adventure! On arrival into Buenos Aires you will be transferred to your hotel. Please note: Some flight may depart 1 day prior. Today, meet your fellow travellers as you are transferred from your hotel to the airport to board your flight to the Patagonian city of Ushuaia. On arrival you will be met and transferred to your expedition ship the MS Midnatsol. After time to relax, join your fellow travellers for a welcome dinner tonight on-board. 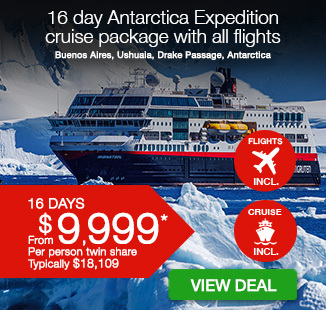 Prepare yourself for Antarctica as we cross the infamous Drake Passage! 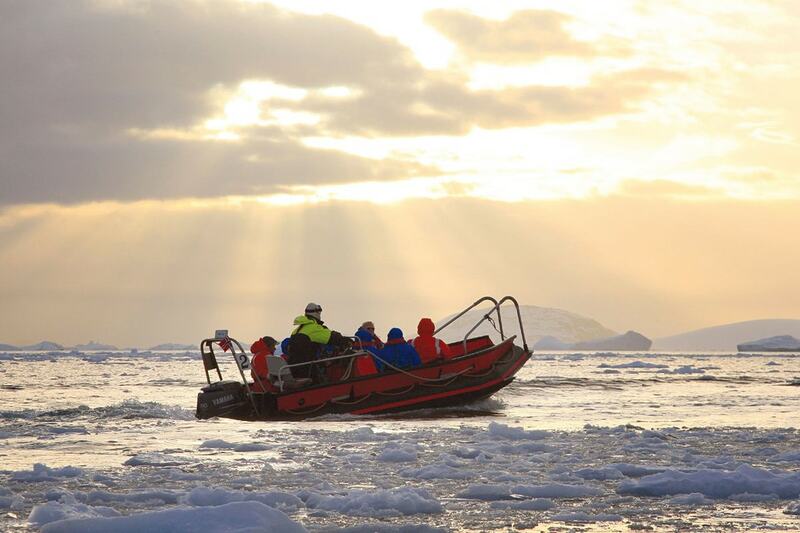 MS Midnatsol is designed especially to bring polar exploration to all ages and learning levels. 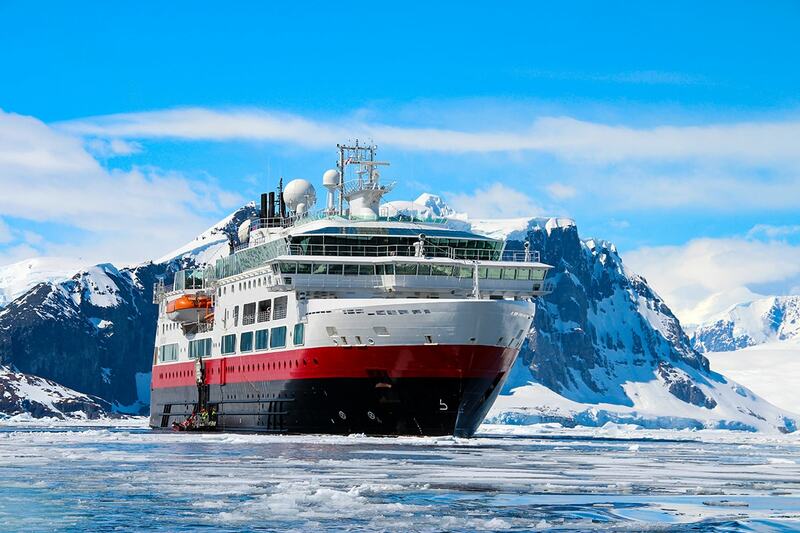 As we cruise south, we start our “Young Explorers Antarctica” classes. There will also be several lectures on the environment around us; films about Antarctica and the Explorer room will be buzzing with activity. This will be the heart of the expedition community, where we gather for talks, recaps and spontaneous events, mingle and share stories. We continue our journey south today. 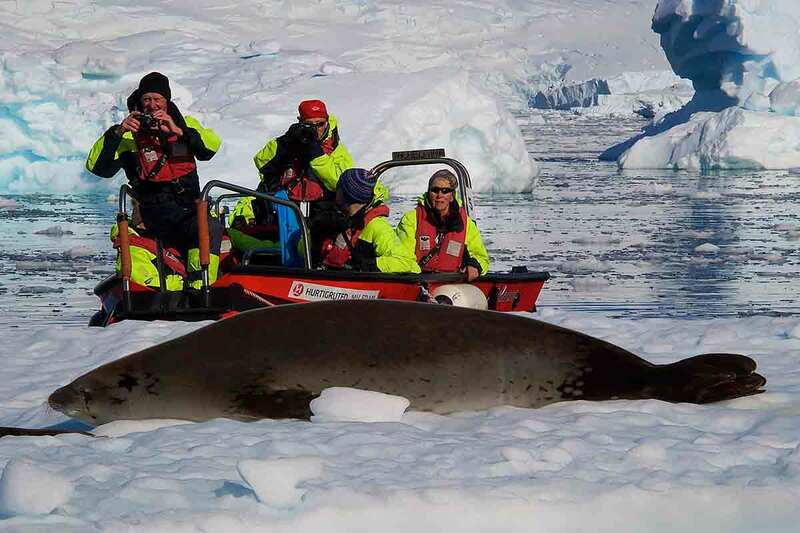 Whilst we cross the sea towards Antarctica, a number of presentations will be given on board about various aspects of the history and wildlife of the Antarctic. You will also be given a thorough introduction to the current guidelines for visiting this vulnerable environment. This is it! 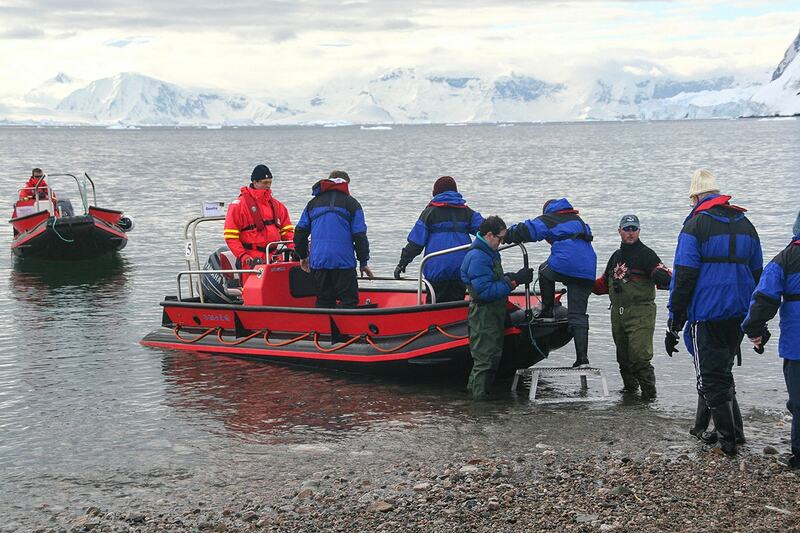 Come ashore by zodiac to explore the impressive Antarctic scenery, penguins and fur seals. From deck there are lots of chances of seeing whales as well. 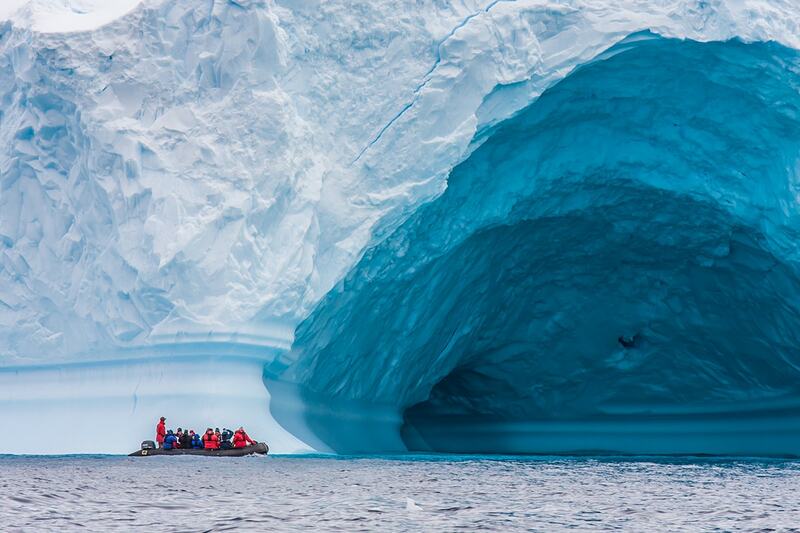 Enjoy close encounters with wildlife and glaciers, old whaling stations and relics. You are now in one of the most remote areas of the world, but trust us: you will not be bored for one single second! Weather, wind and ice conditions dictate our programme and schedule. 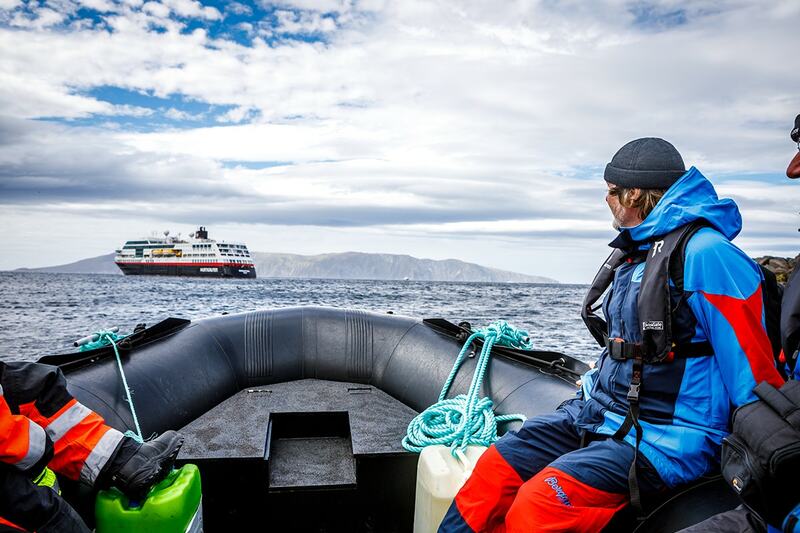 Safety is always the first priority and the captain will decide the final sailing schedule during the voyage. 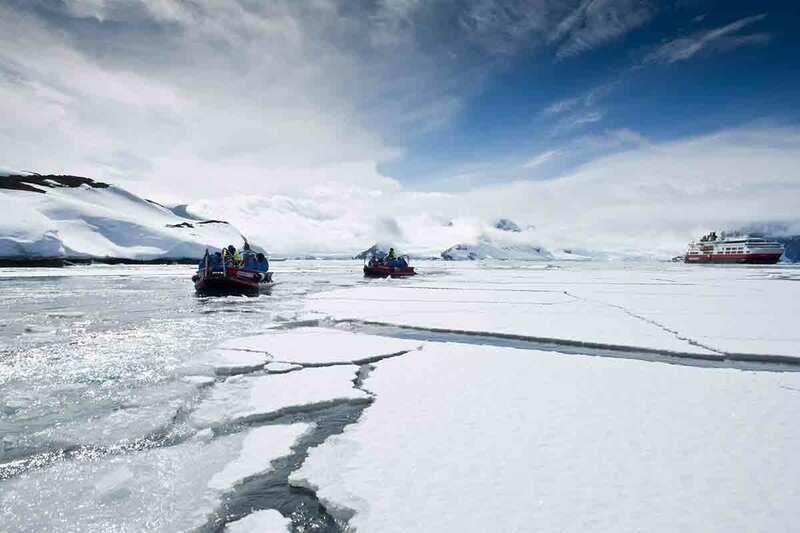 While in Antarctica, we will attempt to land on several sites You will feel like a real explorer from the moment you set foot on the endless expanse of snow and ice. From the deck there will be ample opportunities to sight whales. 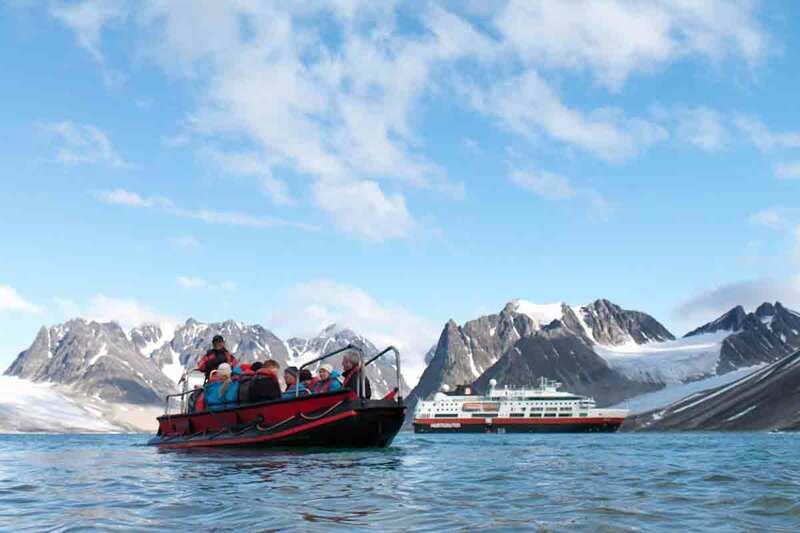 Enjoy close encounters with wildlife and glaciers, old whaling stations and relics. Trust us when we say that every second of this journey has something new to offer. One of the highlights of the South Shetlands is Deception Island. When we sail into the natural harbour of this volcanic island, you will see an abandoned whaling station known as Hektor and a derelict British base. 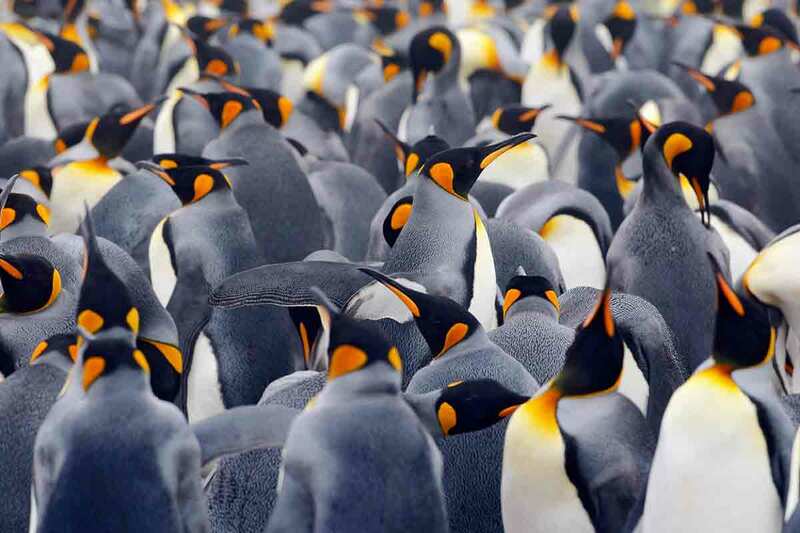 We are certain you will enjoy a visit to Half Moon Island, a staggeringly photogenic island blessed with some of the most beautiful Antarctic scenery imaginable, or Yankee Harbour, with its large colony of Gentoo penguins, estimated to be 4,000 breeding pairs. We may also explore Neko Harbour, beautifully located in the inner part of Andvord Bay; Paradise Harbour which got its descriptive name from the whalers during the last century; and Wilhelmina Bay or “Whale-mina Bay” as it is called due to its spectacular scenery and humpback whales in December. 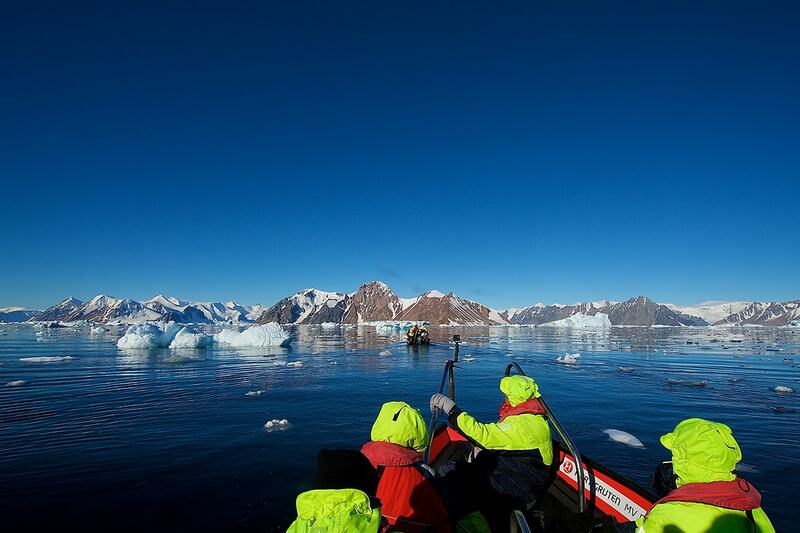 Explore Antarctica with the expedition team, through the Antarctic waters. We continue our journey north today as we cross the sea towards South America. Sadly, every adventure must come to an end. It is time to say goodbye to the crew and all your new friends when we reach Ushuaia. We transfer you to the airport for your flight back to Buenos Aires. On arrival in Buenos Aires, you will be met and transferred to your hotel to begin your next 2 nights in the colourful Buenos Aires. Today enjoy a city tour of Buenos Aires. Here you will discover the heart of the city: the Plaza de Mayo and surrounds like the historic Cabildo (Town Hall) where the movement for independence from Spain was first planned; the Casa Rosada (Presidential Palace), and other old buildings. Near the Plaza you can find theatres and busy commercial areas. Then you will discover the 9 de Julio Avenue, one of the widest avenues in the world. You will also discover the main avenue of Buenos Aires: Corrientes Avenue (known as the entertainment center) which is a street of many theatres and great night life. Also visit de Mayo Avenue, Florida Street, where you may enjoy a tango demonstration on the street. Visit one of the most residential neighbourhoods in Buenos Aires, La Recoleta: Here one gets to know why Buenos Aires is considered “Paris of the South”. Exquisite and refined, this place offers a lot of monuments and museums. You will visit the Cemetery where Evita Perón is buried. Many of the monuments of this cemetery were declared National Monuments. Today after breakfast at the appropriate time, you will be transferred to the airport for your homeward flight. Today, meet your fellow transfers as you are transferred from your hotel to the airport to board your flight to the Patagonian city of Ushuaia. 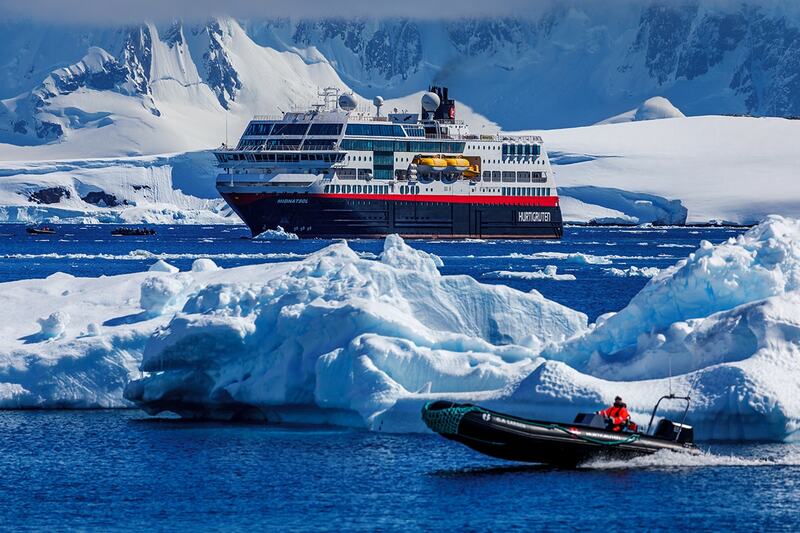 On arrival you will be met and transferred to your expedition ship the MS Midnatsol. After time to relax, join your fellow travellers for a welcome dinner tonight on-board. It is an early start this morning. You will be picked up from hotel and transferred to the airport for your flight to Cusco. Upon arrival be met at Cusco airport and taken to your hotel in the centre of the city. Cusco was once capital of the Inca Empire, and is now known for its archaeological remains and Spanish colonial architecture. Plaza de Armas is the central square in the old city, with arcades, carved wooden balconies and Incan wall ruins. The baroque Santo Domingo Convent was built on top of the Incan Temple of the Sun (Qoricancha), and has archaeological remains of Inca stonework. After breakfast, enjoy a free day to explore Cusco at leisure. The foremost city of the Inca Empire is now the undisputed archaeological capital of the Americas, as well as the continent’s oldest continuously inhabited city. Optional Tour: The Sacred Valley – This is a full day excursion to the Urubamba Valley visiting the colourful Indian market in Pisac, where you will be able to appreciate the mixture of colour and tradition. Here you will have the opportunity to test your bartering skills, interact with the local craftsmen and purchase hand-made souvenirs. After Pisac travel to Urubamba, and continue on to Ollantaytambo, the oldest continuously occupied town on the American continent. The narrow streets of Ollantaytambo, along with their canals, have not changed much from the time of the Inca Empire. The last visit will be the Chinchero market. Chinchero is believed to be the mythical birthplace of the rainbow. Its major claim to tourism is its colourful Sunday market, which is much less tourist-orientated than the market at Pisac. At the end of the tour, return to the Plaza de Armas in Cusco. This morning you will be picked up at 8:00am to head to the train station to board the train to Aguas Caleintes, the gateway to Machu Picchu! The train leaves at approximately 11:30am (time may change depending on availability and changes to timetable). After a 3.5-hour journey of majestic views, arrive at Aguas Calientes to spend the night. Also known as Machu Picchu Pueblo, this town lies in a deep gorge below the ruins. A virtual island, it’s cut off from all roads and enclosed by stone cliffs, towering cloud forest, and two rushing rivers. Aguas Calientes is surrounded by thermal hot springs, on arrival there will be plenty of time to relax and enjoy a hot bath in the natural springs. This is it! Rise early for breakfast before our guide will pick you up from your hotel at 5:40am to begin the short bus journey to the gates of Machu Picchu where you will watch the sunrise. After entering the Citadel begin a guided walking tour (approximately two hours) of the citadel complex. After this experience, enjoy some free time to explore the mysterious city at leisure. There is time for those who are feeling physical to climb Wayna (Huayna) Picchu (at own expense). For many people climbing Huayna Picchu is one of the highlights when visiting Machu Picchu. Wayna Picchu is the towering mountain behind the actual site of Machu Picchu. The climb itself is interesting as you will see how the Inca did cut out some steps out of the rocks and as you wind around the side of a mountain will see Machu Picchu from different angles. This afternoon, meet your guide back down in Aguas Calientes before being transferred to the train station and begin the journey back to Cusco via Ollantaytambo. This morning you will be picked up from the hotel and transferred to the airport. On arrival in Guayaquil, you will be meet at the airport and transferred to your centrally located 5* hotel. After breakfast, get ready to explore the most amazing archipelago in the Pacific coast and the place where Charles Darwin based his theory of the evolution of species. We board a morning flight from Guayaquil to the island of Baltra. On arrival, we head to the town of Puerto Ayora, the biggest town in Galapagos. From here we take a fast boat to Isabela, the largest island in the archipelago and the place where the most volcanic activity in the Galapagos is reported. The island is formed by six shield volcanoes, Alcedo, Cerra Azul, Darwin, Ecuador, Sierra Negra and Wolf, five of them still active, and therefore the island is one of the most volcanically active places on earth. During our island crossing, we will be on the lookout for dolphins and whales (July to October). Today, we enjoy a walk to the crater edge of Sierra Negra. The walk is suitable for most fitness levels. After driving up from Puerto Villamil to the trailhead, we prepare our backpacks and hike into a young forest ecosystem, a world of recent geological history. Our destination is the rim of Sierra Negra Crater, an active volcano which last erupted in October 2005. Upon arrival, we take in breathtaking views and explore the circumference of the massive, lava-filled crater, over six miles across at its widest point. If we feel energetic enough, we can continue our hike to Volcan Chico, a secondary crater that has a wild landscape of puffing fumaroles and colorful lava formations, great examples of the dramatic geological events that have forged the Galapagos Islands over millennia. After descending, the afternoon is free to enjoy to large range of optional activities provided by your hotel such as: “Concha de Perla”, kayaking in Tintoreras or just relax on the exotic white-sand beaches of Isabela Island. For many, the Galapagos Islands means wildlife. Visit a number of the secluded beaches and viewpoints scattered along the coastline before becoming intimately acquainted with giant (and not so giant) Galapagos tortoises at the Isabela Tortoise Breeding Centre before stopping at a local waterhole to observe the Pink Flamingos feeding in the wild. In the afternoon we will visit Tintoreras Islet, located at a short distance from Puerto Villamil and home to a great variety of wildlife. Along the way you will be looking for Galapagos fauna, such as Blue footed boobies, which often rest in the rocks. Tintoreras Islet turquoise, crystalline waters are inhabited by white-tipped reef sharks, Galapagos Penguins, marine turtles and sea lions. One of its beaches surrounded by mangroves is one of the few sites where marine iguanas can reproduce successfully. Here we will have the best snorkeling opportunity with all these beautiful animals, including the curious Galapagos penguin. Snorkel freely as these play birds go about their daily lives around you. In the morning we embark on a fast boat from Isabela to Santa Cruz Island. During our island crossing, we will be on the lookout for dolphins and whales (July to October). Once we arrive, we will check in to the hotel. We will have time to visit the Charles Darwin Research Station to learn more about many of the endemic species we met during our adventure, as well as the ongoing conservation and management efforts on the Galapagos Islands. In the afternoon, we head to the ‘El Chato’ Reserve in the highlands of Santa Cruz, home to the famous Galapagos tortoise. Walk through El Chato’s beautiful scenery with those lumbering giants is an unforgettable experience! We also see other highland wildlife such as pintail ducks, egrets, flycatchers and finches on our walk. We can also observe frigatebirds which gather to wash the salt off their feathers at a fresh water lake. Later, we return to Puerto Ayora where the evening is at leisure. After our final breakfast on the Galapagos Islands and the last photos taken of sea lions, we have a transfer to Baltra’s airport in time to catch the flight back to the mainland. On arrival you will be met at the airport and transferred to your centrally located hotel. Enjoy breakfast at your hotel. At the appropriate time you will be transferred to the airport for your flight back to Australia. Extend to include Galapagos Islands and Machu Picchu! Must book at least 120 days prior to departure. A deposit of $2,000 per person plus any applicable surcharges are due at the time of purchase in order to secure your date. We offer a FREE date change policy allowing you to change your departure date any time up until your final payment is made. Optional Tours: Are payable locally. Please note: To participate in the optional tours entrance fees are also applicable to monuments and archaeological sites. These costs are controlled by the Peruvian government and paid on entry. You will also be presented with other options locally by your guide should you wish to enhance your experience. Coaches and Zodiac’s are not equipped with wheelchair access, therefore tours are unfortunately not suitable for wheelchair users and those who are less mobile. The highest altitude you will reach is 12,500 feet above sea level (27 Day itinerary only). Adelaide – A $300 Interstate surcharges applies per person.